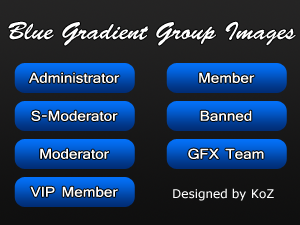 These Gradient images are used for usergroups on your forum. The resolution of the group icons are 120x30 and the format is a PNG file. The PSD is included in this package, so you may edit them however you want, but you cannot sell or redistribute them.